On Wednesday, September 16, Colorado's marijuana enthusiasts will enjoy a one-day tax holiday in which the state's 10 percent tax on cannabis products will be repealed. The prospect of buying tax-free pot has the state's drug users gearing up for a shopping spree and has prompted dispensaries to offer deep discounts reminiscent of traditional retailer's Black Friday deals. With the holiday just under a week away, Colorado's pot scene is already preparing. Green Wednesday is the result of a loophole in the Colorado tax law which requires the state to refund some taxes if revenue exceeds estimates. Recreational pot is taxed at 10 percent in Colorado, but on September 16, that tax will be waived and shoppers will pay only the 2.9 percent sales tax that is applied to all goods bought within the state. Shoppers will have to pay any taxes applied by the local jurisdiction in which the retail marijuana is sold. Colorado also has a 15 percent state excise tax, which is applied to sales or transfers from a retail marijuana cultivaton. A discount on this tax will not be applied to shoppers. The holiday will make an ounce of marijuana about $20 cheaper than normal and is expected to cause Colorado's government to lose out on $3 to $4 million worth of revenue. Dispensaries and pot-related businesses are expecting a huge turnout on Wednesday as consumers bulk up their supply or marijuana while the drug is cheap. To lure the crowds into their businesses, many are offering additional price cuts to celebrate the tax holiday. 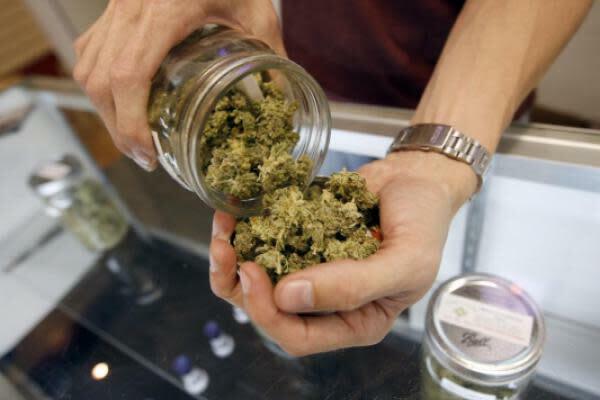 Colorado's oldest and largest dispensary, The Grass Station, will give customers who enter the store before 9:16 a.m. ET a 50 percent discount on their entire purchase and will offer a 10 percent discount for the remainder of the day.